If you are getting one or a few of your home’s windows replaced, you need to know how to prepare the space so that nothing gets damaged. Although it is rare for a company to break anything while the installation is taking place, accidents can happen. To help prevent them as much as possible, New Berlin, WI replacement windows and doors companies have put together some suggestions. The day before the installation is supposed to take place, remove everything from the walls where the replacement windows will be installed. To make this kind of installation, the workers will have to hammer at the wall, which can dislodge plaster, as well as anything that is hanging from it. Many people think that only fragile things need to be taken down, but it is best if you remove everything from that wall. Clear out a path to the windows that will be replaced. This can prevent damage but will also save time, since workers will not have to walk around furniture. When you clear a path, be sure to place plastic bags or plain plastic wrap on the floor, so that the workers do not track dirt into the house. They will need to come in and out of the property and a simple plastic path can keep mud and dirt off your floors. Remove all fragile items from the room in which the installation will take place. The workers will be using heavy and large equipment that can cause all manner of damage. It is not common to have items damaged, but there have been cases of it, so protect your property. If there are items that are made of glass or ceramic, which vibrations can cause to fall and break, remove them from the room the day before the installation starts. Cover all of the furniture in the room with sheets. When removing windows and installing new ones, plaster and dust can land on furniture and can cause damage. This is especially important if you have antique items that can get marked easily. If you want to remove the items, it is always a good idea, but if not then cover them completely with sheets. These tips can ensure that your property stays safe and undamaged throughout the installation process. 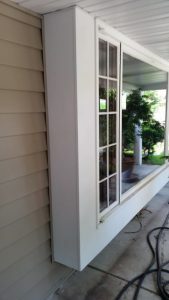 Companies that are specialized in replacement windows and doors in New Berlin, WI know how to go about the process in the safest way possible, but it is still wise to help them as best you can. By removing fragile items, everything from the walls where the windows will be installed, by leaving a clear path, and by covering up furniture, you will be ready to have your replacement windows installed. If you have more questions about the process, ask a company like Wisconsin Weatherall, located at S28W31135 Wild Berry Ln Waukesha, WI 53188. They have years of experience in this field and will know just what needs to be done. Call them today at (414) 305-2622.